As the foremost researcher in the area of correlating mindset with a variety of organizational learning factors, having performed a survey validation study of the Mindset Works, Inc. What's My School Mindset? Survey and the Project for Educational Research That Scales (PERTS) academic mindset survey, the author has discovered links between the philosophical positions one holds and the theory of mind that describes what makes humans different from animals. This book proposes that the ability to recognize and respond to the differences between what we "see" and others "see" is the key reason for individuals, groups, and organizations to succeed or to fail. How we perceive differences and respond to them changes the way our brain develops and how our systems are designed. This book provides strategies for supporting continuous development and growth in individuals, in group dynamics, and in system/organizational development using the most current understanding and propositions of theories of mind. Our theories of physics are expanding through Newtonian, Classical, on to Quantum. Our technologies are expanding from simple tools, to industrialization, to digital information systems, and on to holographic imagery and virtual realities. Biological understandings have grown from magical beliefs about life, through static views of fixed DNA, to cloning, and the potential to regenerate organs and extend life. Our world is in need of an update on the social transformations occurring in human understanding that apply to addressing key issues of our day. 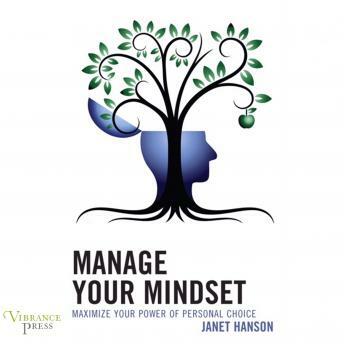 This book revisits the concepts discussed in mindset theory and reframes it with a larger, more inclusive potential for understanding our world that empowers our ability for personal choice to improve our lives.